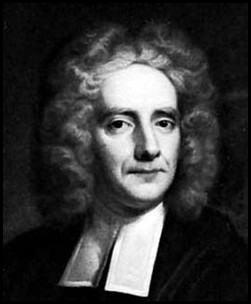 Samuel Clarke, born 11 October 1675 at Norwich, England, died 17 May 1729, studied first mathematics and philosophy, then the New Testament, became chaplain-in-ordinary to Queen Anne of England. He was the author of many treatises on theological subjects, including a book on the Scripture Doctrine of the Trinity (1712). Clarke can be said to be the founder of rationalistic supranaturalism. Against deism and pantheism, which were much accepted and widely spread in his time, Clarke defended the contents of the Biblical revelation, which, however, he tried to explain with reason. Two of his books, A Discourse concerning the Being and Attributes of God (1705) and A Discourse concerning the unchangeable Obligations of Natural Religion and the Truth and Certainty of the Christian Revelation (1705), were translated into Dutch by the Mennonite minister Jan Boelaart in 1753 and 1769. J. Stinstra, a Mennonite minister, also translated the sermons of Clarke into Dutch (9 vols. 1739-1749). By these translations Clarke had some influence on the Mennonites in the Netherlands, and made the rationalism of the Dutch Mennonites in the 18th century more Scriptural than it was elsewhere. Herzog, J. J. and Albert Hauck, Realencyclopedie für Protestantische Theologie and Kirche, 24 vols. 3rd ed. Leipzig: J. H. Hinrichs, 1896-1913: v. IV, 129-130. Sepp, C. Johannes Stinstra en zijn tijd: eene bijdrage tot de geschiedenis der kerk en school in de 18e eeuw. Amsterdam: J.C. Sepp & Zoon, 1865: I, 6; II, 146, 167, 256. Zijpp, Nanne van der. "Clarke, Samuel (1675-1729)." Global Anabaptist Mennonite Encyclopedia Online. 1953. Web. 19 Apr 2019. http://gameo.org/index.php?title=Clarke,_Samuel_(1675-1729)&oldid=110599. Zijpp, Nanne van der. (1953). Clarke, Samuel (1675-1729). Global Anabaptist Mennonite Encyclopedia Online. Retrieved 19 April 2019, from http://gameo.org/index.php?title=Clarke,_Samuel_(1675-1729)&oldid=110599. Adapted by permission of Herald Press, Harrisonburg, Virginia, from Mennonite Encyclopedia, Vol. 1, p. 619. All rights reserved.